The sizzling heat wave that has toasted the Bay Area for multiple days receded ever so slightly Sunday and was expected to die down even more Monday, bringing much needed relief to some cities not accustomed to the scorching temperatures. An excessive heat warning expired at 9 p.m. Sunday for the inland valleys and coastal mountain ranges, according to the National Weather Service. That same warning has been downgraded to a heat advisory for the coast and immediate areas surrounding the San Francisco Bay. Inland areas are expected to peak anywhere from the high 90s to 108 degrees, according to the NWS. Areas along the bay should fluctuate between 85 and 95 degrees while coastal spots will welcome temperatures in the 80s. The hot weather coupled with smoke lingering over the region has prompted officials to declare Spare the Air Alerts for Sunday and Monday, marking a streak a five-consecutive days with such an alert in place. The heat also was putting a strain on the power grid statewide. In the Bay Area, more than 2,500 PG&E customers were without power as of Sunday evening: 1,614 in the East Bay (mostly Oakland), 1,593 in the South Bay (mostly San Jose), 320 on the Peninsula (mostly Foster City) and 100 in the North Bay. There were no reported outages in San Francisco. 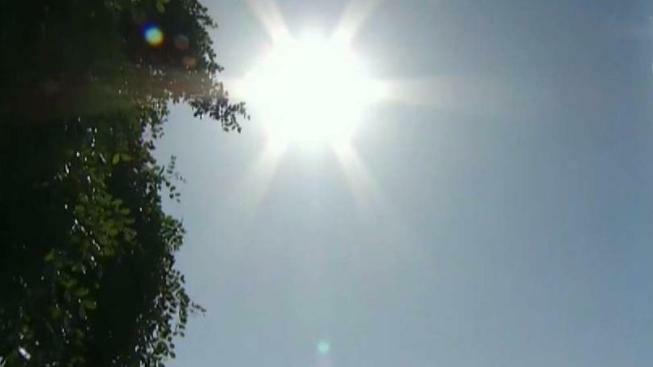 Weather officials are reminding people to properly prepare for the hot weather to both prevent wildfires and heat-related illnesses. Folks should limit outdoor activity during the hottest parts of the day, drink plenty of water and hang out in air conditioned areas. 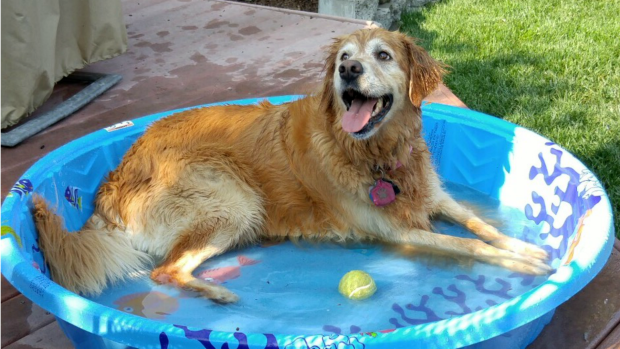 Pet owners should also keep a watchful eye on their companions, making sure their animal friends have adequate water and access to cool locations. Bay Area residents are also asked to limit pollution-causing activities, such as driving and mowing the lawn. Those who are sensitive to unhealthy air are also encouraged to stay indoors. Hazy skies filled with smoke will likely linger throughout the Labor Day weekend, according to the Bay Area Air Quality Management District. Those wishing to beat the heat can visit a slew of cooling centers scattered across the Bay Area or take a trip to the coast where temperatures were significantly cooler than Saturday. Officials warn beachgoers to never swim alone and to be mindful of rip currents.